The suit also names the law firm Cassels Brock & Blackwell, which had been retained in advance to represent Canadian dealers in a GM restructuring or bankruptcy. The suit claims the law firm failed to disclose to the dealers that it was simultaneously acting for the Canadian government in the GM auto bailout and that it breached its duties to the dealers. Cassels Brock vigorously denies the allegations. General Motors of Canada Ltd. dealers allege they were ambushed and deceived during the 2009 auto crisis, court told. General Motors of Canada Ltd. deliberately ambushed and deceived a group of nearly 200 dealers when it sought to sever their relationship during the auto crisis of 2009, a packed Toronto courtroom heard Tuesday. 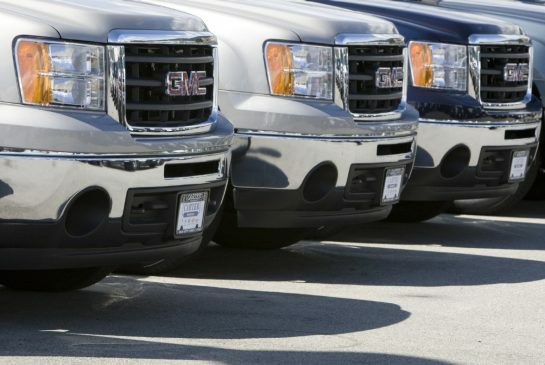 Some 181 former GM Canada dealers are suing the automaker for $750 million alleging the company breached franchise laws when it pressured them to sign “wind-down agreements” as part of a government bailout package. GM vigorously denies the allegations and has counter-sued the dealers. The automaker’s demand came at the height of the 2008-09 financial crisis as GM’s U.S. parent company was headed for bankruptcy court, putting thousands of jobs at risk on both sides of the border. Many of the Canadian GM dealers stood to lose their livelihoods and retirement plans by signing on to the deal, David Sterns, a partner in the law firm Sotos LLP, told an Ontario Superior Court of Justice. GM had about 705 dealerships at the time. On May 20, 2009, it asked just over 200 to consider severing their relationship. Some 85 per cent of those dealers went along with the plan. “GM achieved this by ambush, by deception and by divide-and-conquer tactics,” Sterns charged. The dealers’ case against GM hinges on Canadian franchise laws. Dealers like Trillium Motor Ltd., of Scarborough, were given just six days to decide whether to sign the wind-down agreements, not the 14 required under the Arthur Wishart Act in Ontario and similar legislation in other provinces, court heard. GM also violated the Act’s requirements to disclose all relevant information, treat its franchisees fairly and honestly, and not prevent them from freely associating, court heard. GM misled the dealers into thinking it was a requirement of the government bailout that they agree to reduce their numbers, Sterns said. In fact, Sterns argued, GM’s parent company was worried that a bankruptcy filing by its Canadian subsidiary would unravel its U.S. restructuring plan by putting its debtor-in-possession financing at risk. GM also implied the dealers risked getting nothing if the Canadian company failed to get the cuts it needed to avoid following its U.S. parent into bankruptcy court, Sterns said. “GM conveyed a ‘sign on’ or ‘get nothing’,” message, Sterns said. In its statement of defense, GM says both the Canadian unit and it U.S. parent were on the verge of insolvency after the economic crisis of 2008 as consumers dramatically reduced purchases of vehicles. As revenues plunged and credit dried up, the only possible sources of financing were the governments of the U.S., Canada and Ontario, the automaker said in its statement. As a condition of obtaining those funds, GM and its Canadian unit were required to submit restructuring plans, the statement said. But their initial plan was rejected by the government on March, 30, 2009, for not going far enough to ensure the companies’ survival. GM then submitted a new plan that would see the company eliminate its Pontiac brand, reduce its workforce and plant capacity, and accelerate reduction of its dealer network. The plan was accepted, the auto maker received more than $50 billion in U.S., Canadian and Ontario government financing, and it emerged from court protection a newer, slimmer entity. It was the biggest corporate bailout in history. GM Canada said it paid out $123 million to compensate the dealers who agreed to the wind-down plan. It also said the six-day window to sign was based on the fact the May 31 deadline to meet the government bailout conditions was looming. The suit also names the law firm Cassels Brock & Blackwell, which had been retained in advance to represent Canadian dealers in a GM restructuring or bankruptcy. The suit claims the law firm failed to disclose to the dealers that it was simultaneously acting for the Canadian government in the GM auto bailout and that it breached its duties to the dealers. Cassels Brock vigorously denies the allegations. The court hearing continues Wednesday. In 2010, a group of 19 other GM dealers reached an out-of-court settlement in a lawsuit against the company after alleging it ended their franchise agreements in a “high-handed, oppressive and patently unfair” manner. The two sides did not disclose terms of the settlement.